Heather Scofield relocated to Kent, CT, from Cleveland, Ohio, in the early 1990’s and is part of the Kent School community, where her husband teaches art. 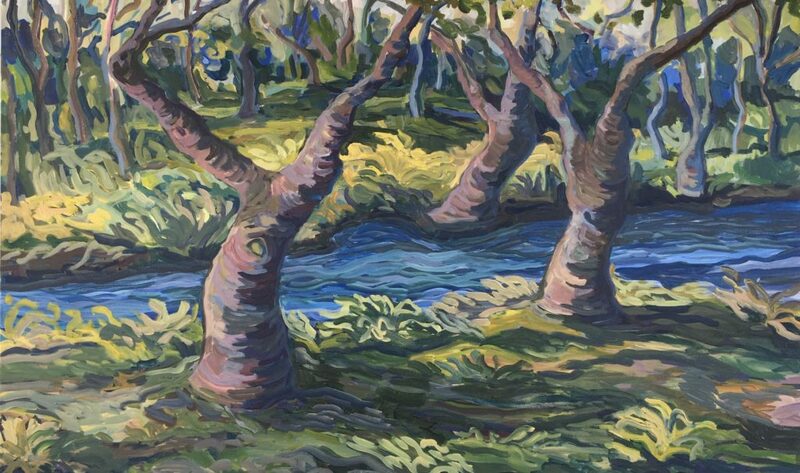 In her work she focuses on the sculptural shapes, lines, and varied colors of trees, from birches to sycamores. 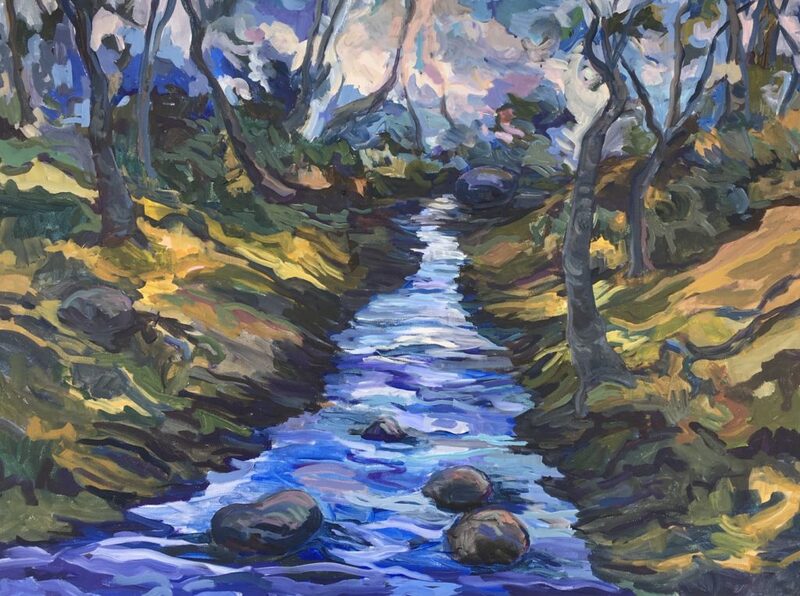 Her landscapes have been described as “kinetic and bold” and “vibrating with color and movement.” She has had solo exhibitions at the Gunn Memorial Library in Washington, CT; the Kent Memorial Library; and galleries in New Preston and Salisbury, CT. Group exhibitions have included the Akin Museum in Pawling, NY, and the Kent Art Association. Please join us on Sunday, April 7, from 4:00 to 6:00 p.m. for the opening reception for the artist, graciously hosted by the Library Associates.